PT KAI Commuter Jabodetabek - PT KCJ or referred to as "KAI Commuter" is a well-established transportation services company in Indonesia with strong business focus on commuter railways. KAI Commuter is an commuter railways operator in the area of JABODETABEK; Jakarta, Bogor, Depok, Tangerang and Bekasi. 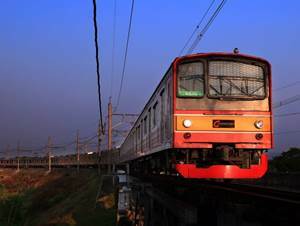 PT KAI Commuter Jabodetabek is a directly-owned subsidiary company of state-owned railways operator PT Kereta Api Indonesia (Persero) or KAI Group. Currently, PT KAI Commuter Jabodetabek is owned majorly by KAI Group with 99.78% shares and the rest is owned by Pusaka Foundation with 0.22% shares. In term of financial performance, PT KAI Commuter Jabodetabek produced satisfactory results in 2015. According to PT Kereta Api Indonesia (Persero) Annual Report 2015 as cited by JobsCDC.com, PT KAI Commuter Jabodetabek was able to expand total revenue by 39.96% from Rp 1,235.86 billion in 2014 to Rp 1,729.74 billion in 2015. KAI Commuter booked a net profit after tax of Rp 254.12 billion, increasing 71% from net profit after tax in 2014 of Rp 148,28 billion. Minimum S1 from a leading university accreditation "A" with minimum GPA of 2.95. Past experience as auditor (Internal/External), evidenced by a working reference and certificate. Male or Female, age 22 to 30 years old. Past managerial experience in the field of law for minimum 3 years, evidenced by a working reference. Male or Female, age 25 to 40 years old. Past managerial experience in the field of public relation (PR) for minimum 3 years, evidenced by a working reference. Past managerial experience in marketing communication unit for minimum 5 years, evidenced by a working reference. JobsCDC.com now available on android device. Download now on Google Play here. Please be aware of recruitment fraud. The entire stage of this selection process is free of charge. PT KAI Commuter Jabodetabek - Staff, Assistant Manager, Manager KAI Group January 2017 will never ask for fees or upfront payments for any purposes during the recruitment process such as transportation and accommodation.